What do Jobs & Wozniak, Page & Brin, Ben & Jerry all have in common? They were cofounders who built successful businesses together. 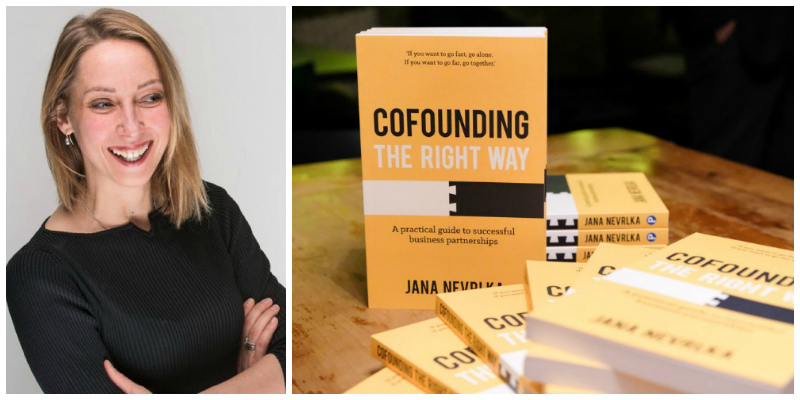 In her new book, Cofounding the Right Way, author and entrepreneur Jana Nevrlka, shares her insights on how to build successful business partnerships that are a win-win for all concerned. If you have ever looked at some of the most successful businesses that have been built by co-founders, they may seem like a match made in business heaven - but how do they do it? The benefits are obvious: by combining resources, knowledge, expertise and motivation, cofounders can often build something far more successful together compared to going solo. And yet, two-thirds of startups fail because of disagreements between founders. Why? Because cofounding isn't as simple as drawing up an agreement and shaking hands on it. In fact, there are seven steps required to build cofounding teams that win and last. In Cofounding The Right Way, Jana Nevrlka will take you through these steps, one simple step at a time, from finding the right cofounders all the way through to structuring your team, splitting the equity, making sure everyone stays motivated, and documenting it in your cofounding agreement. She starts by getting you to consider thoroughly if a partnership is even right for you in the first place? 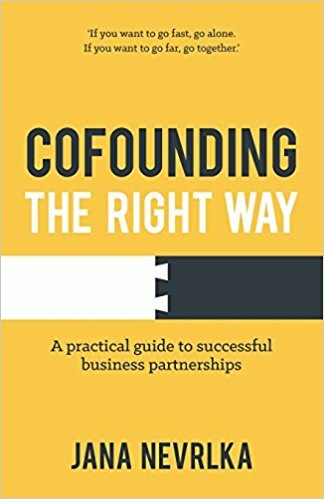 This book is an essential read for any entrepreneur thinking about getting into business with co-founders, being in the process of cofounding, or facing difficulties with their existing cofounding team and looking for answers. I believe in looking at the big picture, solving issues holistically and combining knowledge across disciplines. This book summarizes the main choices that you need to make as a cofounder and combines business, legal, finance and psychological insights and know-how. Get your cofounding team right, and you'll be in the best possible position to handle any challenge that's thrown in your direction. Get it wrong and not even the best business idea will be able to survive. It all started when Jana Nevrlka simply realised that there must be a better way to form business partnerships, and importantly to build them to last. Since she did not find much knowledge or support available, she decided to fill the gap herself. With one successful and one failed cofounding experience behind her, Jana Nevrlka has spent the past 5 years learning what’s required to build better business partnerships, and applying that knowledge to helping cofounders across Europe build successful and lasting businesses. Combining her legal and business background with her entrepreneurial experience, Jana writes and speaks extensively on the subject, works as a cofounding mentor for a number of startup accelerators, and organizes a knowledge-sharing platform called the Swiss Startups Club. In addition to all that, Jana coordinates the development of dynamic equity split templates in Europe.